Asaga town is a famous town in Ohafia local government area in Abia state south-eastern Nigeria that was founded by Ukpai Ezema Atita (Okwara). 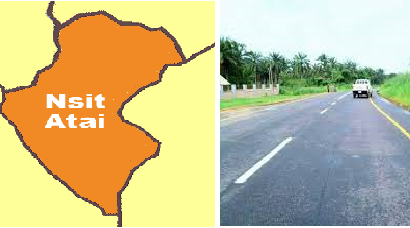 The town is one (1) of twenty-six (26) villages and towns in Ohafia LGA. Asaga is closed to places like Ebem, Amuke, Eziafor, Ndi-Orieke, Ndi-Ibe and other neighboring community. There is a hilly elevation sited along the road that welcomes people to Asaga town which makes one view Asaga from a far distance, it is said that the mountain contains lots of minerals, this site will favor a Ceramic industry. The town is an Igbo speaking community and has a very strong tradition from Ohafia such as Ezi ra ali which means “compound and land” but the “Ezi ra ali” rite is legalized for the identification of paternal descent, person, and place. The rite is about the positioning of a newborn child within social, terrain, temporal and spatial. Children grow and come to realize that this terrain has their history engrave in it. War dance (Iri agha) is also performed among age grade, Okwanko masquerade and many other though some have been abolished because of civilization. The people of Asaga who are not less than 115,000 in the population are good hunters, farmers, cassava, yam, water yam and potatoes producers, Traders, Motorist, Tricyclist and Motorcyclist Business men and women, Students, Teachers, Civil servants, Medical practitioners, Lawyers, Engineers, etc. This Igbo descendant main diet are not different from the general Igbo nature of food so, they specialize in eating Pounded-cocoyam and Orha soup, Egusi soup, Banga soup, Okra soup, Archara soup, Yam pottage and porridge (Awai), rice, garri, plantain, maize, jollof rice and other foods that are not mention. The majority here are Christian and few traditional worshipers, most populated churches are Roman Catholic, Presbyterian, Brotherhood, Redeem Christian church, Assemblies of God, Jehovah witness and other new churches are found in the town. The language spoken in this land is Igbo, though it is somehow different from other Igbo languages, and they also speak general Igbo as well, Yoruba speakers are mostly immigrant, pidgin or broken is also observed and English is well spoken in the land. Asaga is a beautiful place for anyone to relax the town is recorded as a civilized town in Abia state, both primary and secondary schools are visible in Asaga, social amenities and infrastructures are not left out, there is also a multipurpose hall built for this town. The people also enjoy steady power supply to an extent more than some of the urban cities in Nigeria. Asaga is the hometown of Ojo Maduekwe the former Minister of transport and foreign affairs, Kalu O. Kalu and other prestigious men in Nigeria. Asaga is a nice land to visit and there are 4 Airport close to this town, the nearest is Sam Mbakwe international Airport.